Here’s a quick summary of mobile devices and their impact on commerce. More than 50 percent of Americans have a smartphone and that percentage is increasing. Tablets are replacing desktops and laptops. 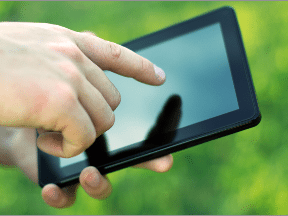 Tablets are a preferred platform for ecommerce transactions. Smartphones are used more for research than actual purchases. Apple iOS devices are the most heavily used devices for commerce. People are becoming increasingly dependent on their smartphones — it’s the first and last thing many adults do every day. When most ecommerce merchants think of mobile commerce, the first thing that comes to mind is closing transactions. But there are many other activities that are being done daily on mobile devices that may impact your future online business strategies. Will all of them affect your revenue stream? That depends on the products you sell. As an example, for a long time online merchants benefitted from showrooming, the practice of using a smartphone to research products and do price comparisons while in a brick-and-mortar store. Ecommerce merchants could simply present a better price, free shipping, and possibly no tax and close a deal by being present in an organic search. Today, it’s much harder to get seen in a mobile organic search because the volume of advertising is much higher. Brick-and-mortar retailers are fighting back by offering price matching and free shipping for out-of-stock items. Consumers also use shopping apps for comparison shopping as they showroom, making it more difficult for online retailers to be found. This article introduces many mobile activities and applications that you should be aware of as you evaluate mobile strategies. I am an iPhone user and all the apps listed here are on the iOS platform. I am not recommending any of these apps — they are simply the first ones that appeared in different categories I searched on, which usually included dozens of similar apps. Let’s start with ecommerce. All online merchants should develop a mobile friendly store. There are several options to do this. Responsive site. Adapts to virtually any device or screen size. Mobile site template. Presents your store in a mobile-friendly manner. Third-party hosted site. Manages your store and displays your product catalog as if it were part of your main domain. Your mobile store should deliver a customer experience that is consistent with your desktop version. You should include the same product content, branding, ratings and reviews, pricing, search, and navigation. You may present some of content in a more mobile friendly way — like tabs for detailed information — but it’s important to offer all of your product content. 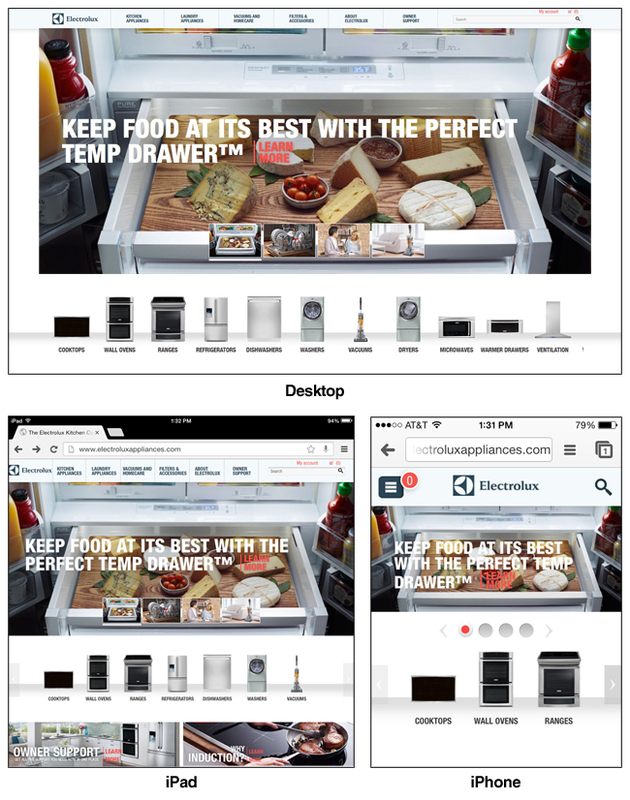 The Electrolux site displays on both desktop and mobile devices. To be successful on mobile devices, include alternative methods of payment like PayPal to eliminate the need for your buyers to have to fumble around with credit cards while making a mobile purchase. Mobile transaction currently account for about 10 percent of all commerce in the U.S. This number is expected to increase significantly over the next few years, led by sales on tablets. Have you shopped for a new house, car, or apartment lately? There are many new apps that serve as a marketplace for those industries. 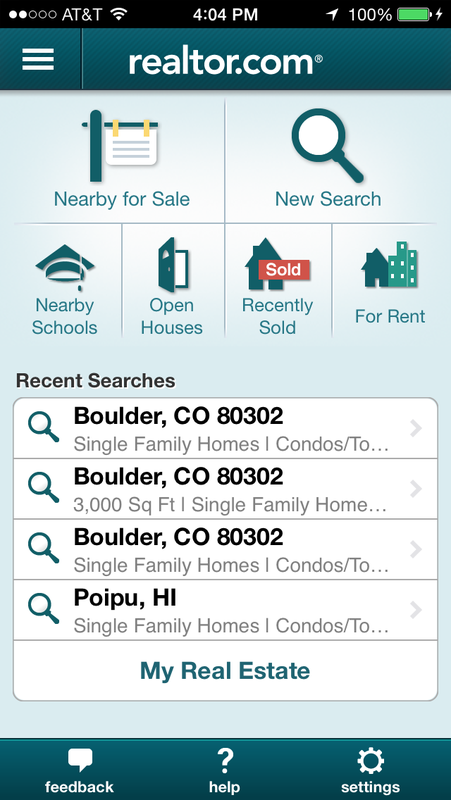 Apps like Zillow and Realtor.com reduce the need to have a real estate agent showing you properties. You can shop virtually or simply drive around town using your GPS to guide you to properties that meet your search criteria. Can you buy these online? Not currently. But they facilitate research, thus changing the role of a real estate agent. CarSoup is a similar app for finding automobiles. Product research is a popular mobile activity. Most adults use tablets or smartphones for some type of research before making a purchase. 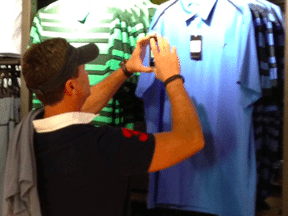 With showrooming, you do the research while in a physical store. Research could include looking for product details, alternatives, deals, and availability. Local stores, including large retailers like Home Depot, are finally presenting on their mobile sites product availability in those physical stores, eliminating driving all over town looking for an item. They also make it easy to order online and pick up your goods in the local store. This will have an impact on pure-play online retailers as they face more competitive pressure from physical stores. Beyond obvious starting points like Google search, many consumers use blogs, other online retailers, brand websites, and catalog apps to research products. Here are a few product-research vehicles I found in a quick search. In-store and online price comparisons are becoming standard for many product purchase decisions. Consumers can use tools like Google, Shopping.com, and Bing. Amazon and Ebay are good places to compare prices too. There are also many apps that are popular with showroomers. These apps allow shoppers to scan a UPC code and receive a broad range of price comparisons among different retailers. Most link to the retailers’ sites, where shoppers complete the purchase. Many brick-and-mortar retailers will allow you to use these apps in real time to negotiate an in-store price match. Here are a few apps that support scanners and comparison tools. Many consumers like to share their shopping lists with family and friends. Many also want feedback on their purchases. Sites like Wanelo and Pinterest facilitate sharing of products and other ideas. There are also wish-list apps to save and share product ideas. Consider a wish list in your mobile site if you don’t already have one. A key mobile activity is reading emails on smartphones. Be sure your emails and landing pages are mobile friendly. Mobile devices are ideal for facilitating flash sales. Merchants can display a limited number of items and offer a quick checkout. Many new mobile apps and sites enable flash sales. Here are few that I found in a quick search. Shopping lists on mobile devices are common. Many of them also offer coupons in the app. There are shopping lists that are specific for groceries. Others are more general. Many can be shared. Many shoppers look for deals. Daily deal sites like Groupon are well known. There are also many other specialized apps and sites that focus on more specific industries. Here are a few. Apps like Square, PayPal Here, PaySimple, Intuit Go, and others make it possible to accept credit card payments by swiping on a dongle — i.e., a mini card scanner that plugs into a smartphone. These apps do not require a separate merchant account, payment gateway, or virtual terminal. Rates and fees are competitive with traditional point-of-sale solutions.